The water level at Lake Baikal, the world's deepest body of freshwater, is at its lowest in decades and nearing a critical threshold, authorities in Russia's Irkutsk region warn. Residents are advised to cut down their water and electricity consumption. 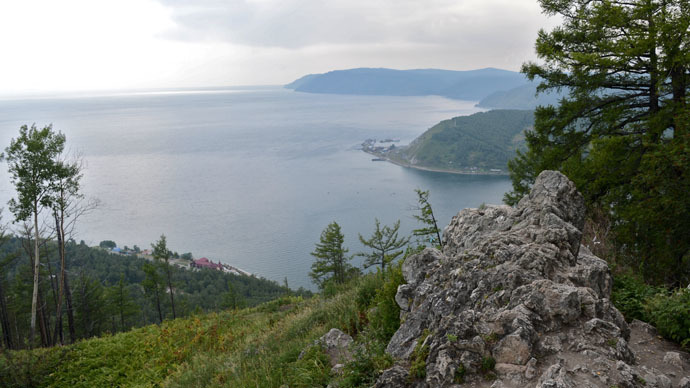 The power-saving and water-preserving mode is recommended due to a decrease in Lake Baikal's water level, which now stands at 456.07 meters above sea level, according to the Emergencies Ministry. The critical indicator for the lake’s minimum acceptable water level for economic activity is set at 456 meters. A similar situation was recorded back in 1982, when the level of Lake Baikal dropped to a record low of 455.27 meters. “The depletion of the water level in Lake Baikal affects the deepness of the Angara River, on which the Irkutsk hydroelectric power station stands. The decrease of water in the upper pool affects the operation of hydraulic units of the power plant. Therefore, the Emergency Commission is asking Irkutsk citizens to limit the consumption of water and electricity,” the Irkutsk mayor's office said on Wednesday. The Irkutsk hydroelectric power station on the Angara River – which flows out of Lake Baikal – supplies the large city of Irkutsk with electricity and water. It also feeds with electricity an enormous aluminum plant in the region. There are several other hydroelectric power plants on the Angara that rely on steady water flow from the lake. Earlier this month, authorities in the neighboring Buryatia Republic sounded an alarm as the water level in the lake fell by 40 centimeters as compared to 2013. The drop prompted regional emergencies ministries to announce a state of high alert, as villages surrounding the lake were reportedly hit by water shortages. “It’s about time to declare a disaster, because there is no water, and if a fire is to spread, a fire truck will have nowhere to get water,” said the head of Buryatia Republic, Vyacheslav Nagovitsyn. He added that local peatlands have drained and begun to burn. According to the Russian Emergencies Ministry, the flow of water into the lake last summer and autumn reached only 67 percent of the usual amount. 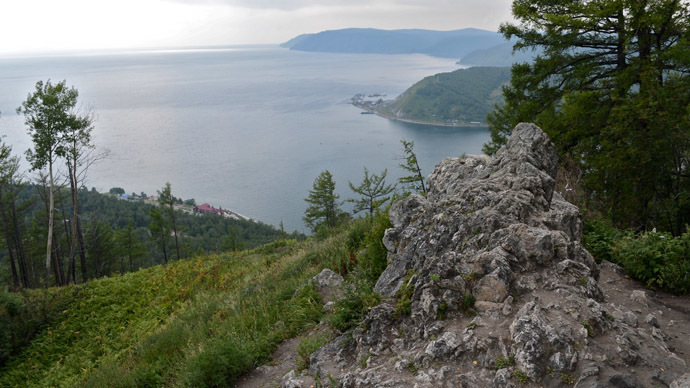 The draining of Lake Baikal – which contains a quarter of the world's freshwater reserves, with some 23,000 cubic kilometers of water – is blamed on last year's abnormally dry weather, as well as overuse by local industries. Locals fear the receding water level will have an impact on fish stock, while hydroelectric power plant operators depend on low levels to maximize profit. Although lowering water levels can potentially have environmental impacts on wildlife, it is unlikely that a thirst for profit will eventually lead to the depletion of the lake, as is the case with the basin of Kazakhstan’s Aral Sea, once the fourth largest lake in the world. 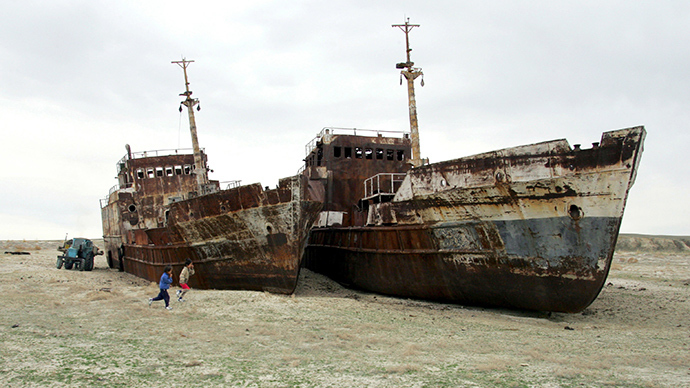 The complete disappearance of the Aral Sea is blamed on an ambitious Soviet project – a diversion of the two rivers that fed its basin. At the time, engineers believed the Amu Darya and Syr Darya rivers would irrigate the desert, where cotton could be grown for future exports. However, implementation of the plan led to an ecological catastrophe.